Visual Studio Code>Programming Languages>NextflowNew to Visual Studio Code? Get it now. 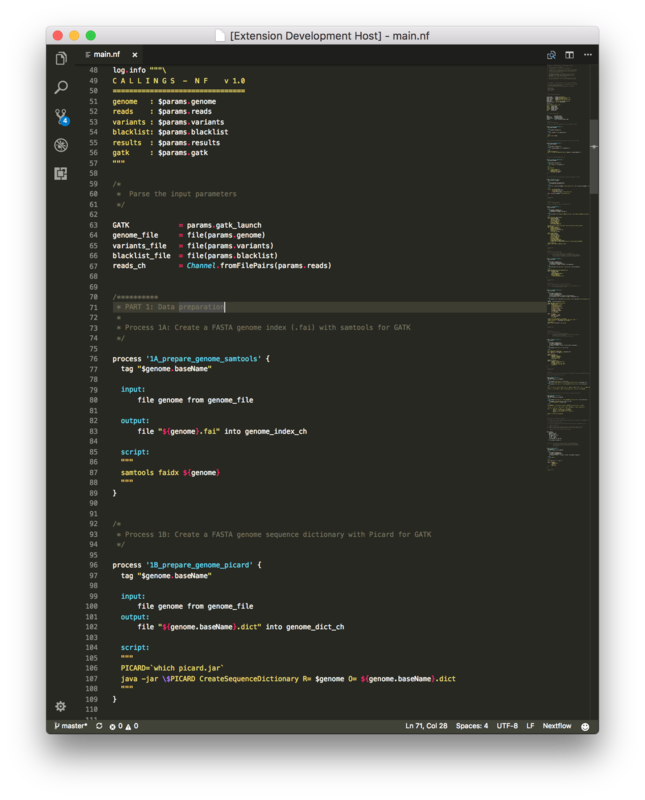 This extension adds the Nextflow language support to Visual Studio Code editor. It provides syntax highlighting for the Nextflow language and quick shortcuts for common code snippets. Hack the grammar and the snippet definition files. To quickly test changes use the F5 key. Contributions are greatly appreciated. Please fork this repository, open a pull request to add snippets, make grammar tweaks, fix issues, etc.